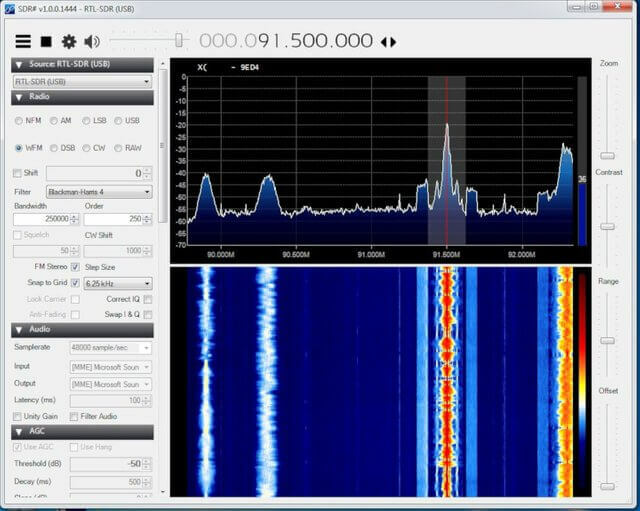 Thanks to John Jackson of JRMagnetics for writing in and letting us know about his post on installing SDR# onto a Windows Virtual Machine (VM) running on Fedora Linux. As John notes, running SDR software from within a virtual machine essentially freezes a working version of your setup in a virtual image. It's then possible to put the image on a memory stick and take your entire working software setup with you and run it on another PC. Using a fixed image then also avoids problems with OS updates breaking things, as updates can be safely turned off on the virtual machine. Any damage from viruses is localized to the virtual machine only. During his research John found many people who have been running Linux from within a virtual machine running on Windows, but not the reverse. Originally he tried running a Windows VM from within Windows, but he experienced crashes. Only when using Linux as the base OS was his Windows VM stable. In his setup he runs Fedora 26 as the base Linux OS (although other Linux versions should also work), and Windows 7 in the Virtual Machine. He uses Oracle VirtualBox as the virtualization software. Once Windows 7 is installed on the Virtual Machine, setting up software like SDR# is as simple as going through our quickstart guide.